With homework levels rising exponentially, even at primary school level, many of our children are completely overwhelmed by the number of tasks that they must perform after school. So much so that countries such as Finland have taken steps to completely abolish the idea of homework. Homework for the foreseeable future in South Africa will remain a reality and Studymaster offers parents a value-added service to relieve children’s learning workload without restricting their academic growth. 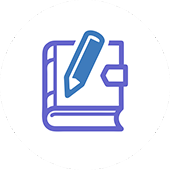 Parents and schoolchildren can now download quality summaries at Studymaster, enabling learners to save time which allows them to have more study time. 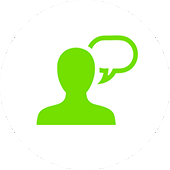 Our team is also available to assist learners with class speeches and assignment research. This type of assistance eliminates the pressure for the parent that does not necessarily have the time to assist their children. Studymaster is an innovative new student support platform that gives your child the confidence to perform. These general conditions for promotions and competitions apply to competitions and other promotional activities organized by Studymaster (“Provider”). By participating in the competitions, the participant agrees to the following Competition Terms and Conditions. In addition, each competition and/or other promotion may have specific terms and conditions mentioned in the competition rules. Only South African citizens or permanent residents between the ages of 18 to 100 may participate in the competition and/or promotion. Excluded from participation are staff and relatives of the Provider and cohabiting partners or family of the aforementioned employees. As well as any participants/suppliers in respect of the particular competition (including advertising agencies, advertisers, sponsors or producers). 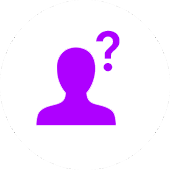 Participation in the competition requires that all relevant information required to accurately determine the identity of the applicant/participant must be supplied to the Provider. The decision of Studymaster is final and no correspondence will be entered into regarding results and the awarding of the prize. The prize is personal and is registered in the name of the winner. The prize is not transferable, exchangeable or payable in cash or other products or services. In case of refusal or non-acceptance of the prize or conditions that are inherent to the competition, the prize will not be awarded. In that case, Studymaster is entitled to choose another winner. The prize is awarded in its current state. Studymaster is not responsible for any visible or hidden defects in the prize nor for any damage during delivery (shipping) of the prize. The handling of the delivery of the prize is arranged by Studymaster, advertiser/sponsor or another appointed third party. In this last case, Studymaster is not responsible for the delivery of the prize. In that case, the date of delivery of the prize will be determined in consultation with the supplier of the prize. Studymaster is not responsible for any defects caused by delivery or shipping companies (e.g. delays, strikes, damage or loss) with respect to the delivery of the prize. When the winner, or a roommate, co-inhabitant or neighbour, isn’t able to receive the prize, the winner will pick up the prize later on (e.g. post office, etc.). The Provider shall not be held liable if the prize is not collected or received by the winner or collected by an unauthorized person, even when the delivery or shipping company has not left any notification or notice in any form. The transfer of ownership of the prize to the winner is dependent on the cooperation of the winner with the competition rules and registration process. In the case of a livestock prize: Physical delivery of the prize shall not occur in the first 12 months from the date of choosing a winner. In the first 12 months after choosing a winner and the winner duly accepting Studymaster will house, feed and care for the livestock and shall commence with physical delivery thereafter. If the prize consists of tickets for concerts, festivals, films, sports events or similar types of events and/or holidays/flights, there can be no claim on any form of compensation in case of cancellation. If the prize includes travel/accommodation abroad for which a passport is required, the participant must be in possession of a valid passport to receive the prize. The prize is not awarded when failing this condition. Competition entries are counted as 1 per person. The winner of the prize gives Studymaster permission to use, free of charge, any received personal data, any photos or any contributions linked to the competition to be used in promotional activities relating to the competition and in relation to the announcement of the winner through all media, including radio, television and online. At the request of Studymaster, the winner(s) of the prize will cooperate in promotional activities to the extent that can be reasonably expected of them, including publicity regarding the announcements of the winner(s) across all media including radio, television and online. For cooperating with these promotional activities no financial compensation will be paid unless agreed on by Studymaster. The participant consents to the processing of personal data in connection with participation in the competition. Studymaster may add the personal information to its database, which is confidential and will be treated in accordance with the Protection of Personal Information Act. Personal information may be used to execute the competition and the award ceremony. In this context, Studymaster is entitled to provide personal data to third parties involved in the relevant competition (including suppliers, advertisers, sponsors and/or producers). Moreover, the participant gives permission to Studymaster to keep him/her informed of the products and/or services of Studymaster, its partners (including sponsors, manufacturers and advertisers) and carefully selected companies. Studymaster is in no way responsible for any damages arising from participation in the competition or for any technical malfunctions, failures or delays with respect to participation in the competition or the appointment of the winner. Studymaster is in no way responsible for any problems or defects arising from the use of the Website and/or downloading any components whatsoever in relation to the competition. Studymaster is entitled to, at its discretion and without notice, change or modify these terms and conditions specific to the competitions for the duration of the contest and without giving a reason to discontinue, modify or adapt the competition for reasons of its own without any obligation to compensate any damages on behalf of the participant. Any changes or adaptations within the competition, will be made public in an appropriate manner (e.g. via its website). Studymaster reserves the right to amend or alter the terms of competitions at any time and reject entries from entrants who act outside of the fair spirit of the competition. 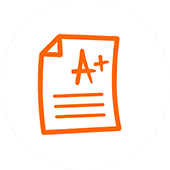 Studymaster is the proprietary holder of all information resulting from the competition. studymaster will not sell to any third party your name, address, e-mail address and telephone number, unless you provide your informed consent, except to the extent necessary to comply with applicable laws, police investigations, or in legal proceedings where such information is relevant. studymaster allows access to database information by third-parties providing technical services, such as e-mail, but only to the extent necessary to provide you with those services. In those instances, the third-party is bound by these terms. Your informed consent shall be in the form of an “opt in” or similar policy. You understand and agree that studymaster may disclose to third parties, your postal/zip code, gender and/or age, but only in the form of aggregated information. studymaster reserves the right to offer you third party services and products based on the preferences that you identify during the registration process and based on your subsequent preferences; such offers may be provided to you by studymaster. The information on this website is true and complete to the best of our knowledge. All recommendations are made without guarantee on the part of Studiemeester. Studiemeester disclaim any liability in connection with the use of this information which may arise due to human or technical errors. Please carefully read the following terms before accessing this site. By accessing the site (which includes, visiting, registering, purchasing or accessing the learning material) as well as the mobile applications thereof, you accept and agree to all of the covenants and conditions imposed in this agreement. All content on this website is owned and controlled by studymaster Pty (Ltd)/Studymaster Pty (Ltd) and its content providers. By using this service, you agree that you have read, understand and agree to these terms. 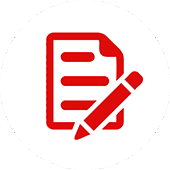 You also agree to review this agreement periodically to be aware of modifications to the agreement, which modifications studymaster Pty (Ltd)/Studymaster Pty (Ltd) may make at any time. Your continued use of this site will be deemed your conclusive acceptance of any modified agreement. 1.1. studymaster Pty (Ltd)/Studymaster Pty (Ltd) reserves the right to change the content used at any time. 1.2. All rights not expressly granted herein are reserved. 1.3. These Terms and Conditions and the use of studymaster Pty (Ltd)/Studymaster Pty (Ltd) shall be governed by and construed in accordance with the laws of the Republic of South Africa. 1.4. Neither studymaster Pty (Ltd)/Studymaster Pty (Ltd) nor any of the third parties directed from this website provide any warranty or guarantees as to the accuracy, timeliness, performance, completeness of information and materials offered on this website. 1.5. The use of any information or material on this website is entirely at your own risk, for which we shall not be liable. It shall be your own responsibility to ensure that any products, services or information available through this website meet your specific requirements. 1.6. If you do not agree with these Terms and Conditions you must cease the contract immediately and notify studymaster Pty (Ltd)/Studymaster Pty (Ltd) of your intent not to continue. 2.1. studymaster Pty (Ltd)/Studymaster Pty (Ltd) quotes prices and issues invoices in South African Rands (ZAR) only. The client must pay in the currency shown on the invoice. 2.2. studymaster Pty (Ltd)/Studymaster Pty (Ltd) reserves the right to review the pricing and take appropriate action when changes to learning material or exam specification occur beyond our control. 2.4. Late payment may result in the removal of any discounts. 2.5. studymaster Pty (Ltd)/Studymaster Pty (Ltd) has two payment options: EFT - Access will be granted once the money reflects in our bank account. Debit order - Monthly debit order, if a debit order does not go through for whatever reason, access to all content will be blocked. 3.2. The owners and employees of studymaster Pty (Ltd)/Studymaster Pty (Ltd) shall not assume any responsibility for the user’s inability to access study material online via studymaster.co.za/studymaster.co.za due to incompatible system requirements beyond the specifications provided for on the studymaster.co.za/studymaster.co.za website and/or applications, and as a result, no refund shall be issued to the purchaser. 3.3. The start date of all memberships and access is deemed to be the date that the student first has access to the self-study materials. 4.1. The study material is property of studymaster Pty (Ltd)/Studymaster Pty (Ltd) and its partners. 4.3. The use of the tutorial material on studymaster.co.za/Studymaster and/or applications is strictly restricted only to the registered user on studymaster.co.za/studymaster.co.za. 4.4. The Registered User shall not copy, share, modify, transmit, distribute, or in any way, exploit the copyrighted materials provided by studymaster Pty (Ltd)/Studymaster Pty (Ltd) other than for their own individual use. Use for any other purpose is expressly prohibited by law and any violators will be prosecuted. 4.5. The Registered User shall not permit anyone else to copy, use, modify, transmit, distribute, or in any way, exploit the copyrighted materials. 4.6. Therefore, the registered user shall not copy, share, modify, transmit, distribute, or in any way, exploit the copyrighted materials provided by studymaster Pty (Ltd)/Studymaster Pty (Ltd) other than for their own individual self-assessment and reading. 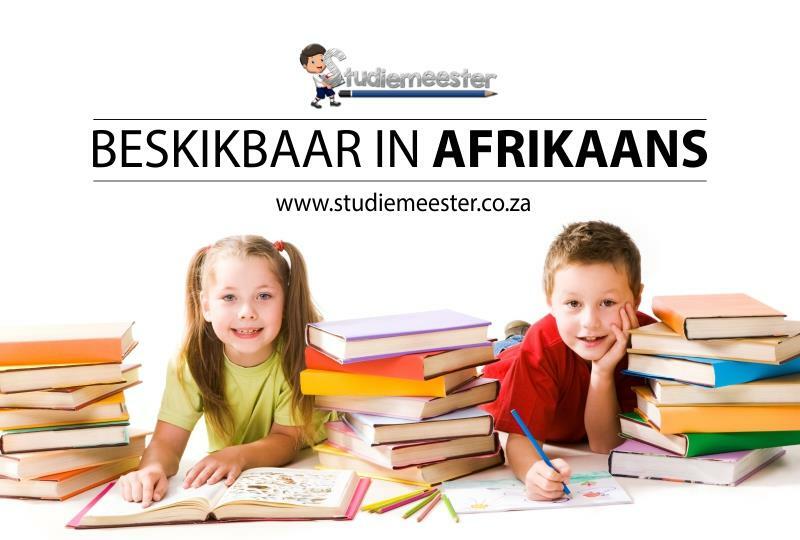 The use of studymaster.co.za/studymaster.co.za and/or applications content and materials for any other purpose other than one prescribed above is expressly prohibited by the terms and conditions hereof, and any violation shall result in prosecution. 4.7. The registered user as per the above undertakes not to permit non- registered users to either copy, use, modify, transmit nor distribute in any way all or some of the material or content derived from studymaster.co.za/studymaster.co.za without the prior approval of owners or employees of studymaster Pty (Ltd)/Studymaster Pty (Ltd) or its content partners. 4.8. The materials made available by studymaster Pty (Ltd)/Studymaster Pty (Ltd) are provided "as-is" without warranties of any kind, either expressed, or implied, including, but not limited to, all implied warranties of merchantability, fitness for a particular purpose, title or non-infringement. 4.9. studymaster Pty (Ltd)/Studymaster Pty (Ltd) does not warrant that the materials will be error free including technical inaccuracies, nor free of viruses, or other harmful matter. The entire cost of any necessary service, repair, or correction, is the Registered User`s responsibility. 4.10. studymaster Pty (Ltd)/Studymaster Pty (Ltd) may make improvements, or changes, to this material at any time without prior notification. 4.11. If you do not agree to these Terms and Conditions you must cease to use the e-learning platform and materials immediately. 5.1. studymaster Pty (Ltd)/Studymaster Pty (Ltd) strives to provide learning material to its students on a continuous basis. studymaster Pty (Ltd)/ Studymaster Pty (Ltd) will take all commercially reasonable efforts to provide uninterrupted access of the learning material to its Students. However, from time to time, students may not be unable to access the learning material due to conditions beyond studymaster Pty (Ltd)/Studymaster Pty (Ltd) control. Such conditions include, but are not limited to: force majeure, power outages, and the acts of computer hackers and others acting outside the law. Also, from time to time, access may be unavailable due to software issues, server downtime, increased Internet traffic, programming errors, regular maintenance of the system, and other related reasons. In response to any unavailability of the learning material to its Students, studymaster Pty (Ltd)/Studymaster Pty (Ltd) will take all commercially reasonable steps to ensure access is restored within a reasonable period of time. The term "commercially reasonable," as used in these Terms, shall mean reasonable efforts taken in good faith without an unduly or burdensome use or expenditure of time, resources, personnel or money. 5.2. studymaster Pty (Ltd)/Studymaster Pty (Ltd) endeavours to provide the highest quality content to its Students. studymaster Pty (Ltd)/Studymaster Pty (Ltd) reserves the right, in its sole discretion, to change, modify, or discontinue any aspect or feature of this site in whole or in part, including, without limitation, the content, availability, Access and/or the Terms of this Site. 5.3. Users are solely responsible for ensuring that they have sufficient and compatible hardware, software, telecommunications equipment and Internet service necessary for use of the Site. 5.4. Any textbooks that needs to be ordered takes approximately 3 weeks for delivery, and approximately 2 weeks will be needed to summarise the books. 6.1. studymaster.co.za/Studymaster.co.za makes no warranty, either expressed or implied, of the accuracy, merchantability, fitness for a particular purpose, or non-infringement of the information provided by third parties. This includes, but is not limited to, any information found on a link located on this site that allows users to access information found on another site. Additionally, studymaster.co.za/studymaster.co.za does not warrant the existence or functionality of any website which can be accessed through a link located on this site. 7.2. Except as expressly stated on the studymaster.co.za/studymaster.co.za website and/or applications or in these Terms and Conditions, nothing whatsoever that you read or see on the studymaster.co.za/studymaster.co.za website and/or applications or in the learning material provided may be copied, reproduced, modified, distributed, transmitted, republished, displayed or performed for commercial use without the prior written consent of studymaster.co.za/studymaster.co.za, except as provided in these Terms and Conditions. Nothing whatsoever in these Terms and Conditions grants you an express or implied license to use any of studymaster.co.za/ studymaster.co.za intellectual property. 8.1. The user accesses the studymaster.co.za/studymaster.co.za website at his/her own risk. The site is provided on an "as is/as available" basis without warranty of any kind, expressed, implied or statutory, and any and all warranties of merchantability, fitness for a particular purpose or non- infringement of third parties` rights are specifically disclaimed. studymaster.co.za/Studymaster.co.za does not warrant any particular result from use of the software or site. studymaster.co.za/Studymaster.co.za does not warrant that the information on the site is accurate, complete or complies with any particular law or regulation, or that the operation of and your access to the site will be uninterrupted, error-free, virus-free or completely secure. 8.2. Under no circumstances and under no legal theory (tort, contract or otherwise) shall studymaster.co.za/studymaster.co.za or any of its affiliates, agents, employees, shareholders, directors, officers, third party content providers, successors or assigns be liable to you or any other person or entity for any indirect, special, incidental, punitive or consequential damages of any character, including without limitation, damages for loss of goodwill, work stoppage, computer failure or malfunction, loss of data, loss of productivity or contract, or any and all other commercial damages or losses. 8.3. Your use of this site is at your sole risk and any content that you download is downloaded at your own discretion and risk, and you are solely responsible for any damage to your computer system in excess of the amount studymaster.co.za/studymaster.co.za received from students for a learning material, and for any loss of data that results from the downloading of any such content, including any damages resulting from computer viruses. 8.4. In no event will studymaster Pty (Ltd)/Studymaster Pty (Ltd) be liable for any damages in excess of the amount studymaster Pty (Ltd)/Studymaster Pty (Ltd) received from the student for access to learning material, even if studymaster Pty (Ltd)/Studymaster Pty (Ltd) have been informed of the possibility of such damages, or for any claim by any other party. 8.5. In no event will warranties provided by law, if any, apply unless they are required to apply by statute notwithstanding their exclusion by contract. 8.6. This disclaimer is applicable to any damage or injury resulting from the negligence or an omission of studymaster Pty (Ltd)/Studymaster Pty (Ltd) computer virus or other similar item, telecommunications errors, or unauthorized access to or use of user information through theft or any other means. studymaster Pty (Ltd)/Studymaster Pty (Ltd) is not liable for criminal, tortious, or negligent actions or omissions of third parties that affect this site. 9.1. studymaster Pty (Ltd)/Studymaster Pty (Ltd) is committed to protecting our users’ privacy. 9.2. studymaster Pty (Ltd)/Studymaster Pty (Ltd) only collects personal information when users provide such information voluntarily, e.g. when they wish register to use the online services of the studymaster Pty (Ltd)/ Studymaster Pty (Ltd) or when they request information and wish to receive such information via e-mail. 9.3. In some cases, non-personal information, such as the user’s domain and IP-address is stored on the user’s computer as a cookie-file and in a statistics file on the web server. This information is used to improve the service offered to users. 9.4. The collected personal information is stored in databases to which access is strictly controlled and only staff, who in the course of their duties need to have access to such information. 9.5. No personal information about a user will be disclosed to third parties without the user’s permission or due process. 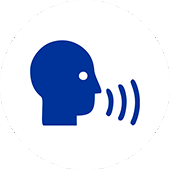 9.6.1. studymaster Pty (Ltd)/Studymaster Pty (Ltd) may use personal information about the user to communicate with the user from time to time. 9.6.2. studymaster Pty (Ltd)/Studymaster Pty (Ltd) may use the user’s information for non-personal statistical purposes. 9.6.3. 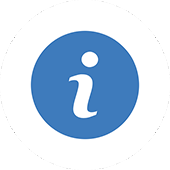 Registered students may view their own personal and other study- related information through the members section. 10.1. All reasonable steps will be taken to secure a user’s information. 10.2. Users undertake not to divulge their usernames and passwords to any other person. 10.3. It is expressly prohibited for any person, business, or entity to gain or attempt to gain unauthorised access to any information on this website, or to deliver or attempt to deliver any unauthorised, damaging or malicious code to this website. Any person who delivers or attempts to deliver any unauthorised, damaging or malicious code to this website or attempts to gain unauthorised access to any page on this website shall be held criminally liable, and in the event that studymaster Pty (Ltd)/Studymaster Pty (Ltd) should suffer any damage or loss, civil damages will be claimed. 10.4. All requests for credit card payments are secured. 12.1. studymaster Pty (Ltd)/Studymaster Pty (Ltd) chooses as its domicilium citandi et executandi for all purposes under this agreement, whether in respect of court process, notice, or other documents or communication of whatsoever nature, 41 Odendaal Road, Morganridge, Boksburg. 13.1. This agreement shall commence when the user starts using the studymaster Pty (Ltd)/Studymaster Pty (Ltd) websites and continues indefinitely until terminated by studymaster Pty (Ltd)/Studymaster Pty (Ltd) for any other reason.